The procedure of setting minimum wages in India is a balance between legislative statute and policy regulation, the understanding of which requires vigilance and careful study from the lawyers, academics, activists and union leaders who are actively engaged in contemporary labour questions. These wages build a paradoxical economic issue – while the interests of workers and their unions seem antithetically opposed to those of their managers and company owners, they are actually more closely intertwined. To appreciate the current situation, one must follow two trends: tracing the history of the minimum wage as a political and judicial issue and understanding the statutory procedure by which administrative notifications are prepared. But it is also necessary to lay focus on the fact that it is through institutions such as courts, labour departments and civil society groups that the beneficiaries of minimum wage policy are served amidst corruption or administrative negligence. In any discussion of the legislative and policy implications of the minimum wage in India, 1948 is a crucial year. 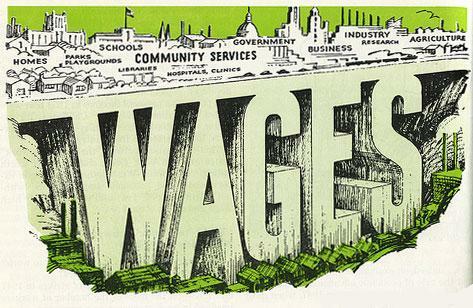 It involved the passage of the Minimum Wages Act and the appointment of the Tripartite Committee on Fair Wages, which drew distinctions between three conceptual levels of wages – the living wage, the fair wage and the minimum wage. Of these, the first is arrived at on the basis of meeting basic needs, the second is calculated with regards to the industry’s ‘Capacity to Pay’ and the third is the statutory mandate. As these dimensions were laid out and efforts were made to navigate the tensions between them, the 15th Annual Labour conference was held in 1957. In this conference, it was argued that minimum wage should be fixed in a scientific and needs-based manner – an idea that became hugely influential within the minimum wage discourse. They recommended that the minimum wage should sustain a family (estimated at three consumption units – one man, one woman and two children) for their requirements of food, clothing, rent, fuel and miscellaneous expenses. This petition was filed by the Mill owners challenging the right for the “appropriate government” to mandate a minimum wage, citing the Fundamental Right to freedom of trade or business (Art. 19(1)(g) and was dismissed. Crown Aluminium Works was dissatisfied with the verdict of an Industrial Tribunal set up to adjudicate a dispute between them and their workmen. After a wage was agreed upon, Crown filed an appeal and then this petition, arguing that certain “economy measures” had to be taken. Since the revision of the fixed wage structure was due to the employer’s financial difficulties, both filings were dismissed, recasting minimum wage as the market price of the factor. Industries could either hire workers at the wage or not at all. A group of tile factory owners in Kerala argued that the minimum wage notification actually denoted a fair wage and was arrived at in an unfair (and non-procedural) manner. After examining the case, the court rejected their petition, showing that the wage was properly fixed through the procedure established by the Act. In each of these cases, the legal institution of minimum wage and the established statutory process of notifying it were protected. However, in recent years, we have seen more successful challenges, both due to a dysfunction within the State Labour Departments and a shift towards more flexible labour regulations. It is worth noting that since Minimum Wage is a labour issue that appears on the Concurrent List, it is the States that set the notifications according to areas of employment enumerated in the Central law’s Schedule. States are hesitant to revise minimum wages too high, fearing that employers will move to other states with more favourable wage regimes. This stress is only more acute for exporters, who put pressure on the State Labour Departments to loosen restrictions. After considering all advice and representations, the Government must notify the new minimum wage by scheduled area of employment. Under the Article 3(1)b, wages must be reviewed and if necessary, revised every 5 years – a practice that most states do not keep up with. 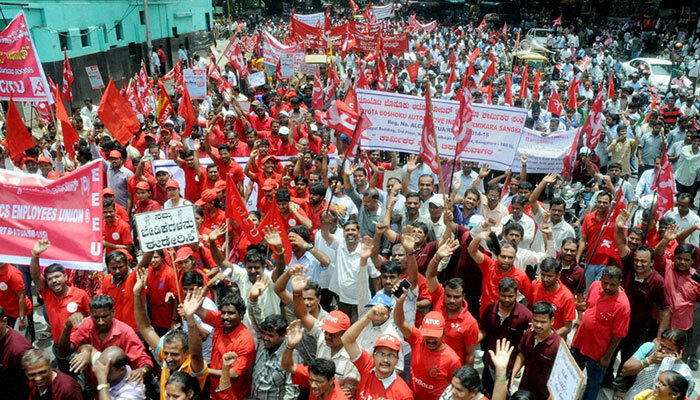 In October 2015, the High Court rejected Karnataka Labour Department’s Minimum Wage notification for automobile and foundry workers, citing “glaring lapses and gross dereliction of duty.” Going on to attack public servants for their “carelessness and negligence”, the Court ordered an enquiry into the Department and for all those responsible for incurring penalties. 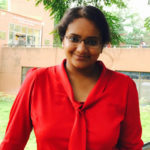 After months of delays, when the case finally came before the court, the Labour Department could not show that their decision was based on recommendations from the Advisory Board, a major procedural lapse that forced Justice Venugopala Gowda to accept the petitions and quash the wage notifications. Lawyer-activists such as Clifton d’Rosario of Manthan Law Chambers, who routinely deal with the Labour Department maintained that this lacklustre work is its general culture. The Court additionally ordered the Government to issue proper notifications by the end of November and directed companies to pay 75 percent of the higher wages in the interim. This push-and-pull of institutions that fight against and also for, set minimum wages is seen not just in Karnataka, but in other states with developed industries such as Tamil Nadu, Maharashtra and West Bengal. These occurrences are due to successful interactions of social justice actors, but it is just as important to remember that the minimum wage is a limited policy. It fails to cover workers in the unorganised sector as well as any sector not included in a particular State’s Schedule. Moreover, non-compliance of employers tends to increase due to intersectional identities of the workers – young, unmarried, lower caste women employed in the garment sector are some of the greatest victims of partially implemented minimum wage policies. Eastern Book Company. 2016. Minimum Wages Act, 1948 [Act 11 of 1948]. 28th . Lucknow: EBC Publishing (P) Ltd.
Express News Service. 2016. “Revise auto, foundry workers’ wages by November 30: Karnataka HC to the government.” The New Indian Express Online. October 29. Accessed December 2016. http://www.newindianexpress.com/cities/bengaluru/2016/oct/29/revise-auto-foundry-workers-wages-by-november-30–karnataka-hc-to-government-1532986.html. Sampath, G. 2016. “Do we need a minimum wage law?” The Hindu Online. September 1. Accessed December 7, 2016. http://www.thehindu.com/opinion/op-ed/Do-we-need-a-minimum-wage-law/article14616002.ece. Supreme Court of India. 1954. “THE EDWARD MILLS CO. LTD., BEAWAR, AND OTHERS Vs. THE STATE OF AJMER AND ANOTHER.” Judgment Information System (JUDIS). Accessed December 2016. http://judis.nic.in/supremecourt/imgs1.aspx?filename=889.